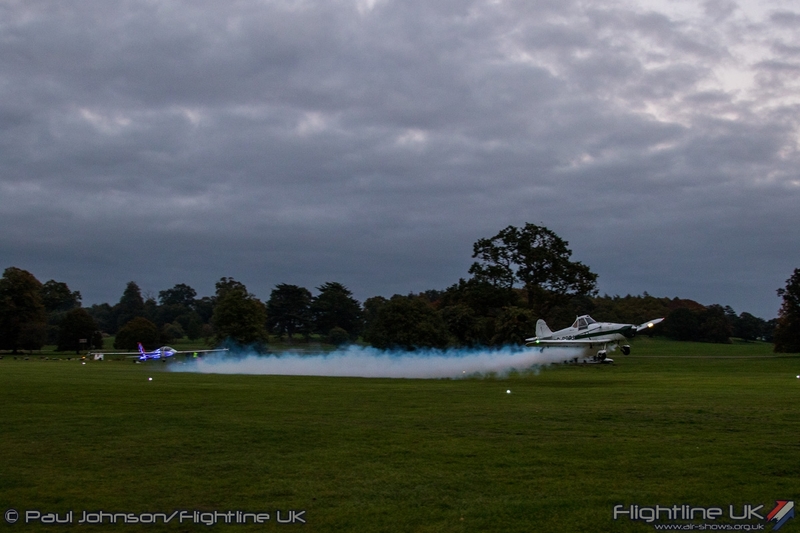 The expansive parkland at Weston Park has long been associated with air displays. 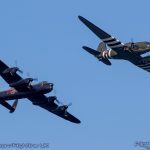 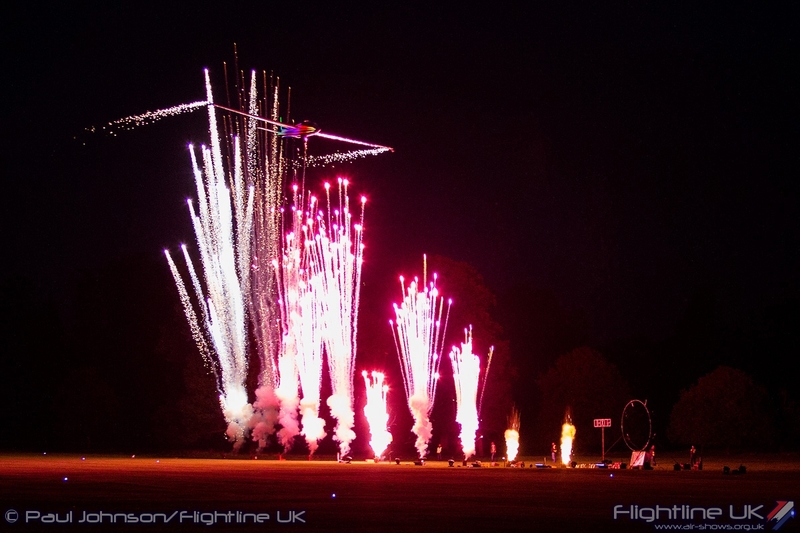 It currently hosts one of the largest model airshows in the UK each June. 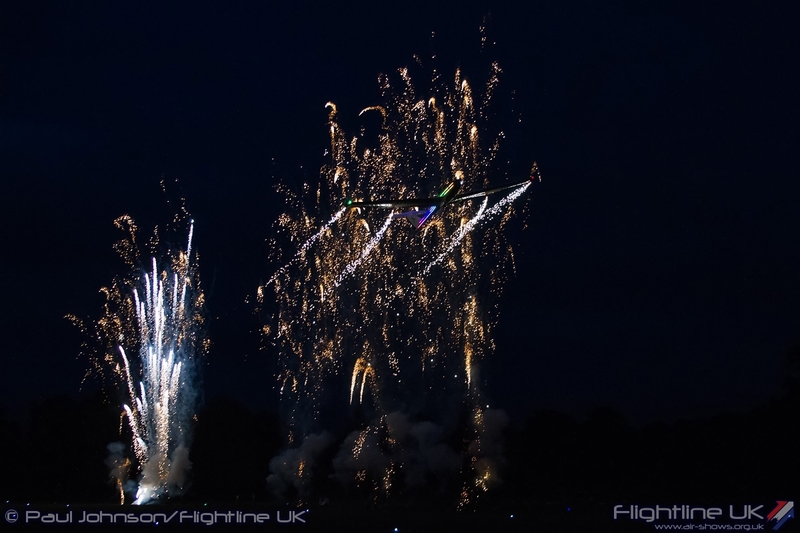 Those events also feature some full sized display acts operating from the short grass strip that nestles between the trees. 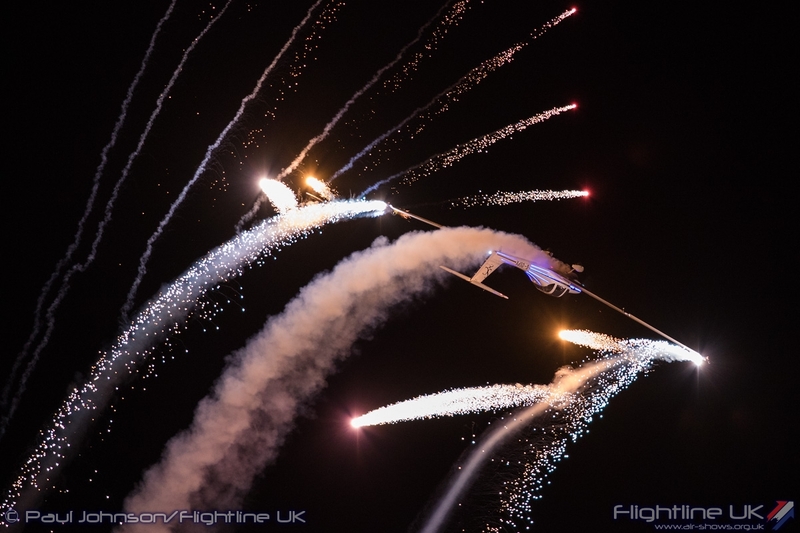 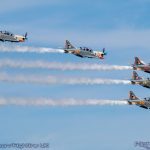 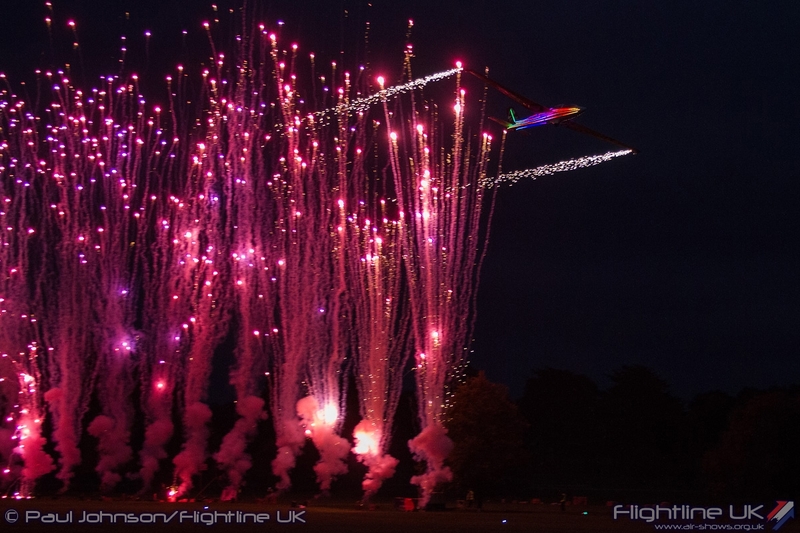 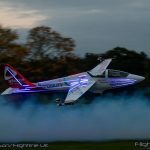 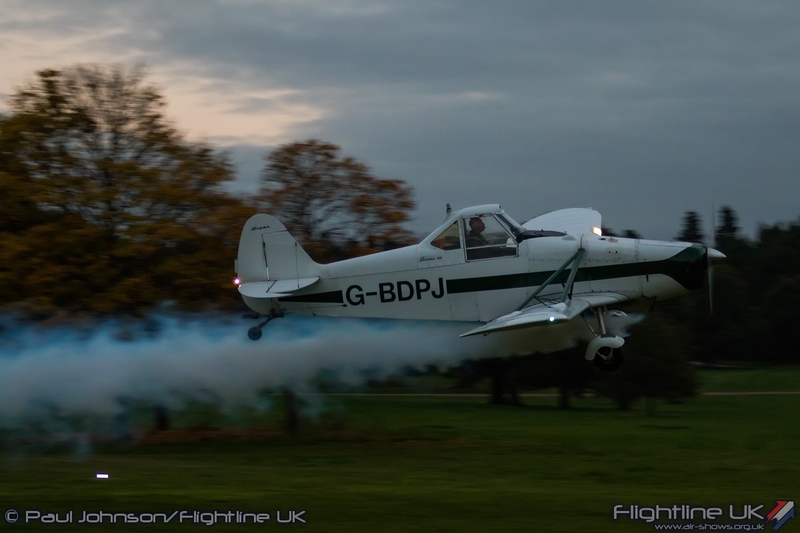 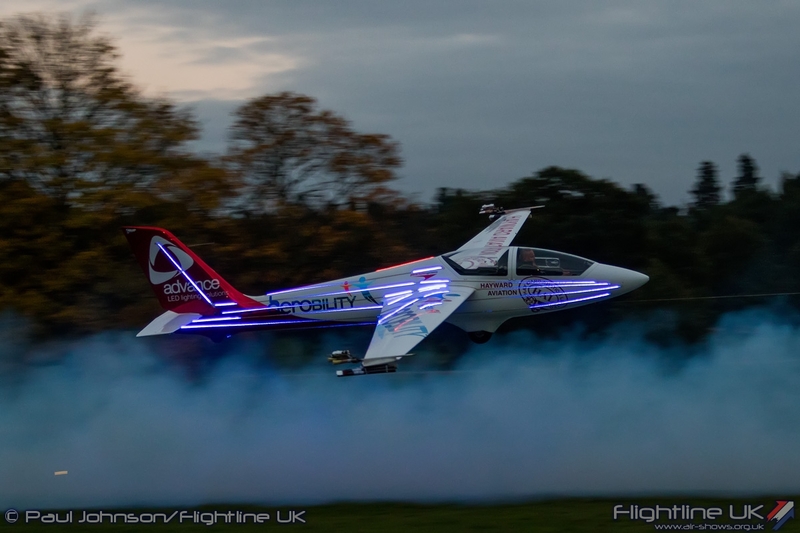 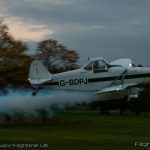 Last year, the organisers of the Model Air Show held a second event in mid-October dubbed “Weston Park in the Dark” and it returned this year promising a feast of light and sound through various ground entertainment, special modified model aircraft and some full sized displays. 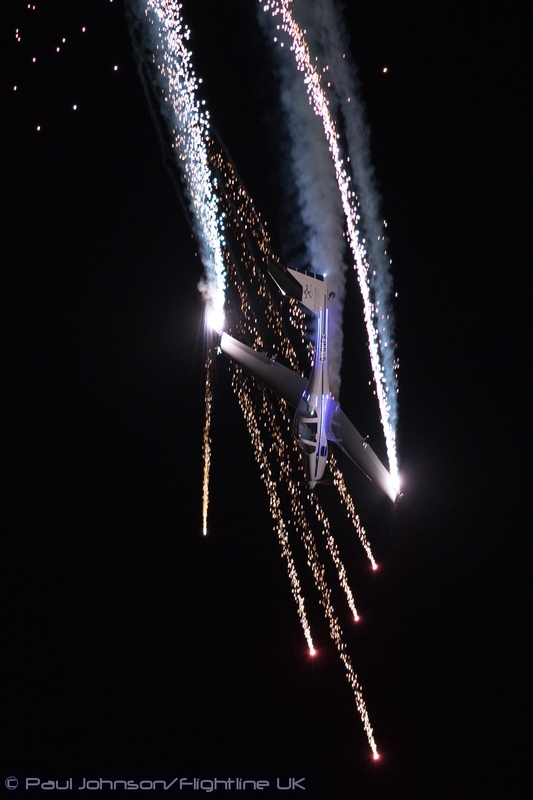 In the air, much of the entertainment was based on Radio-Controlled model aircraft. 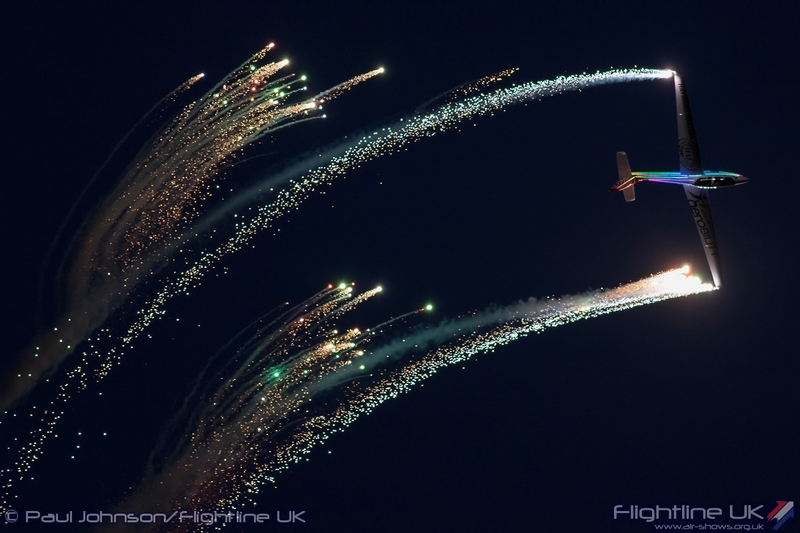 Many were modified, some by simply attaching pyrotechnic effects and LED strips. 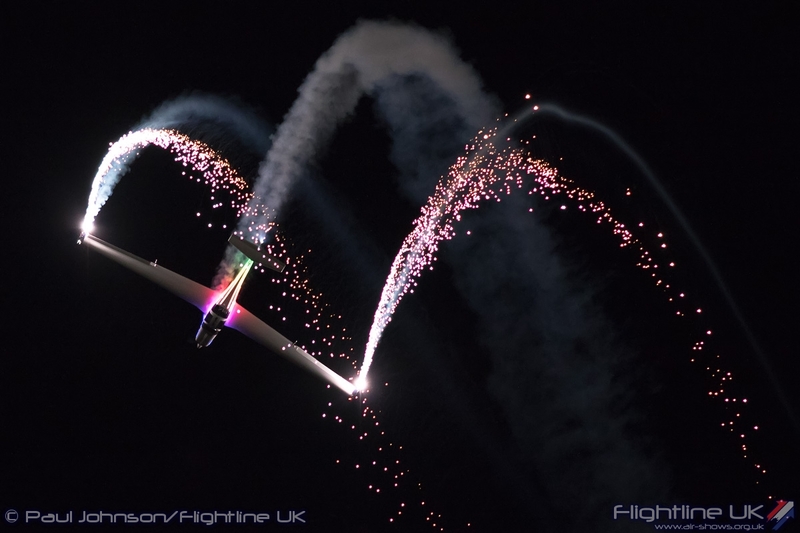 Some had more specialised modifications for flying in the dark including special propellers and rotor blades that could project messages or images on to their propeller/rotor discs. 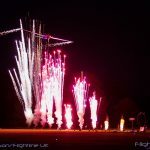 One of the most memorable displays of the evening involved over 20 small electric models flying together to Johnny Cash’s “Ring of Fire.”. 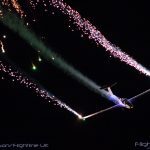 Fitted with white LED strips it looked for all the world like a swarn of Fireflies in the evening light. 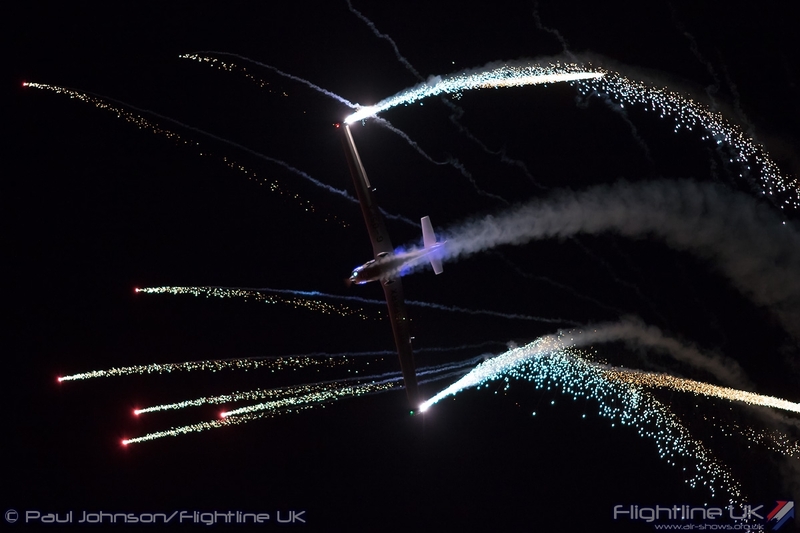 To spice up the action, there were challenged to fly through a Ring of Fire. 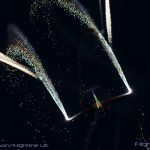 Those that were successful lived to fly on, but the models hitting the ring were accompanied by some very large pyrotechnic explosions. 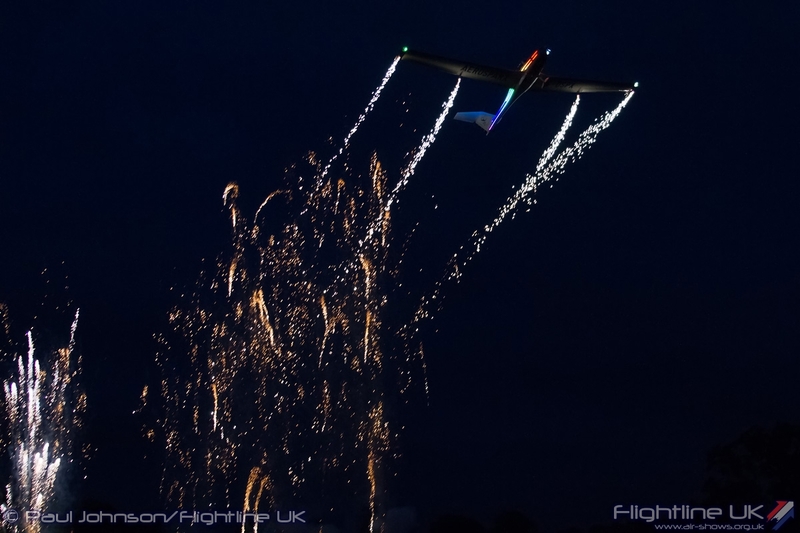 Opening the evening’s festivities were a couple of full sized display acts. 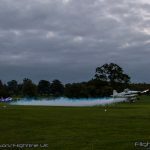 First to go were Weston Park regulars, the GliderFX Display Team with their MDM-1 Fox Aerobatic Glider and Piper PA25 Pawnee tow-plane. 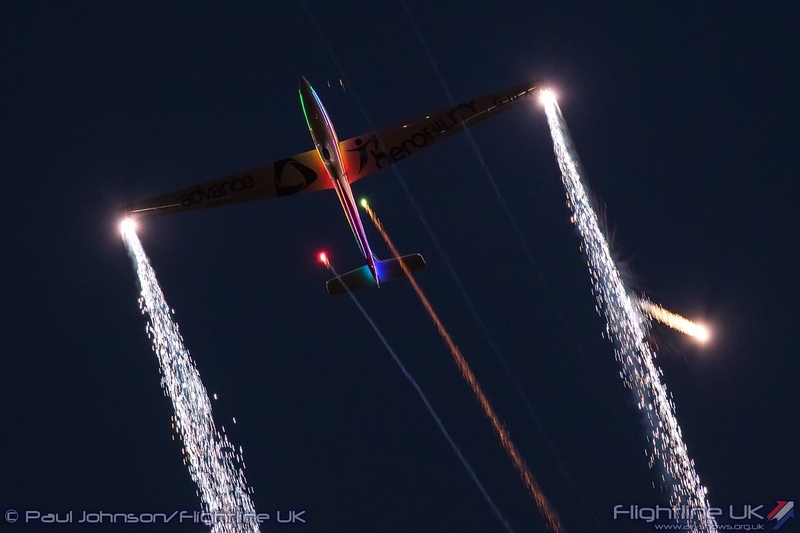 2015 saw the team’s Fox glider get a major facelift and it is now fitted with some striking programmable LED lights down the side of the fuselage and a new vinyl wrap. 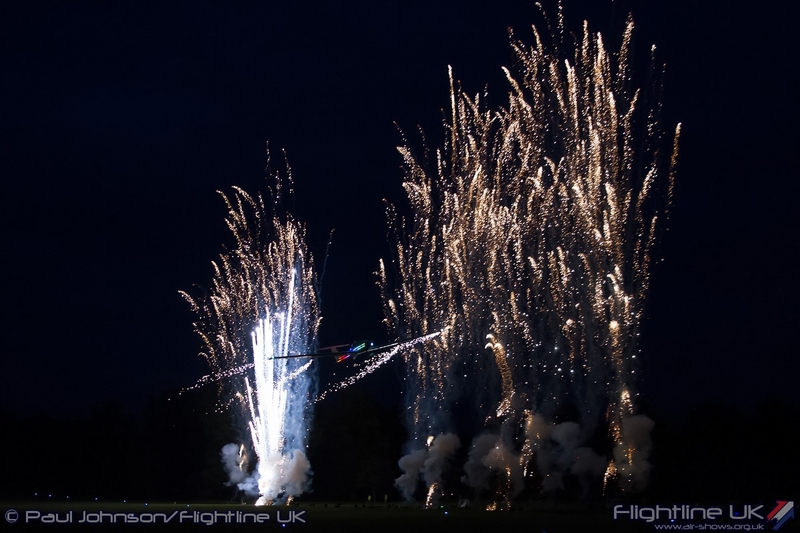 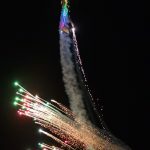 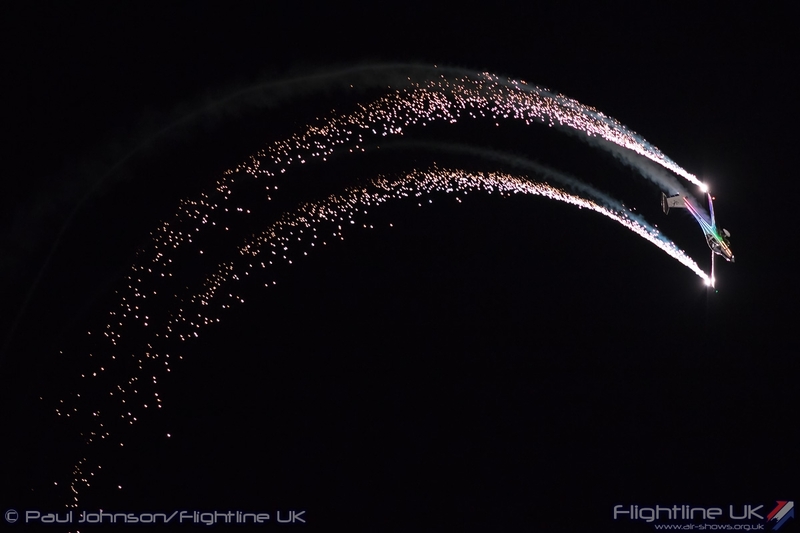 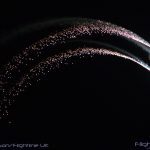 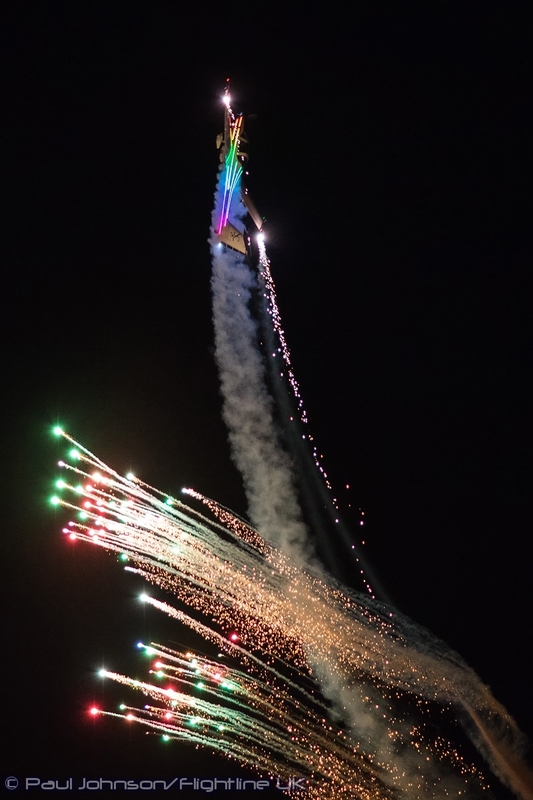 The team led by Guy Westgate have been at the forefront of twilight pyrotechnic displays in the UK and have constantly developed their special effects. 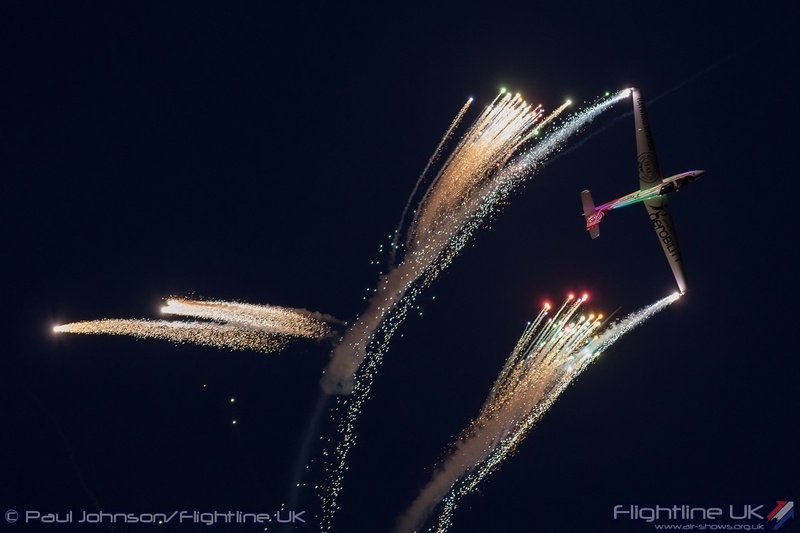 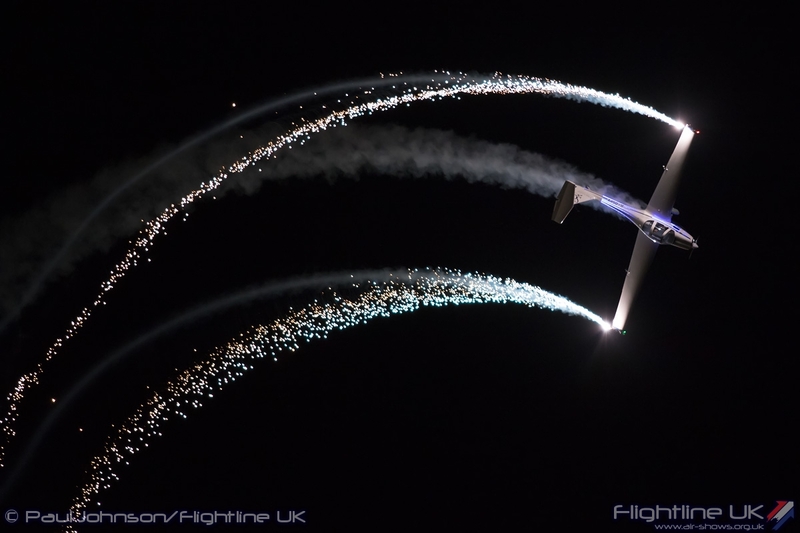 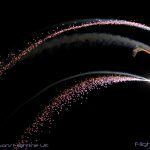 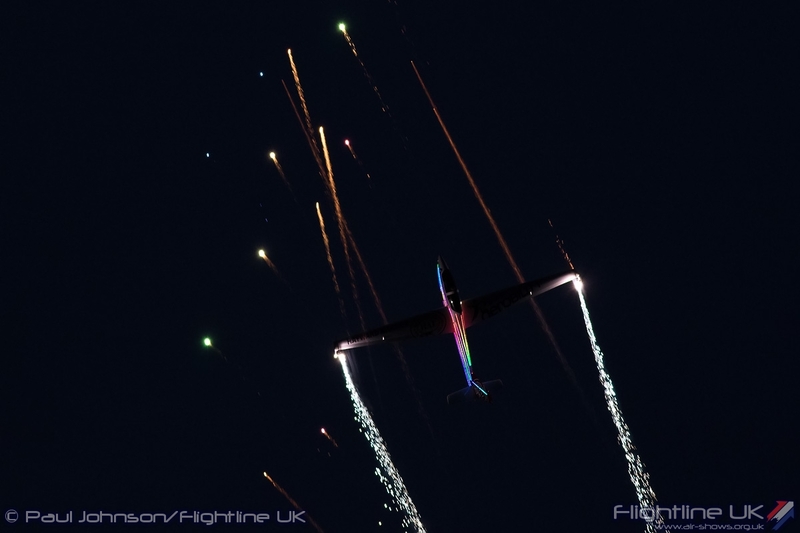 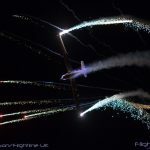 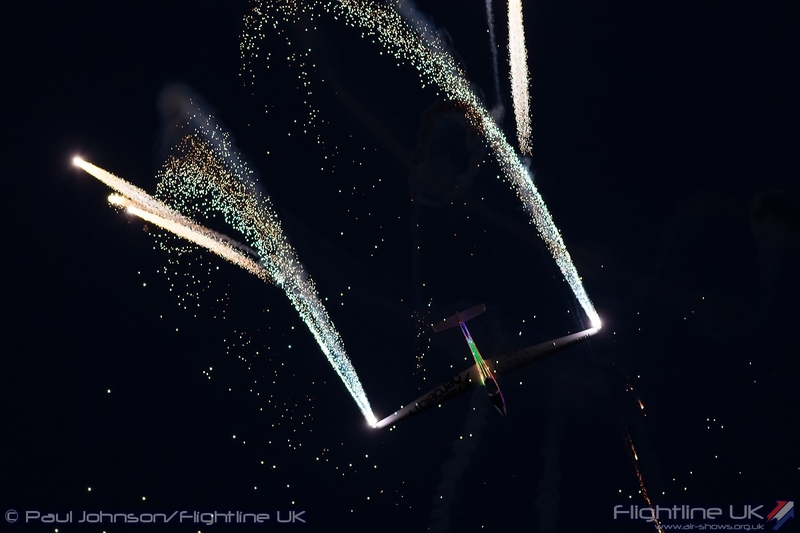 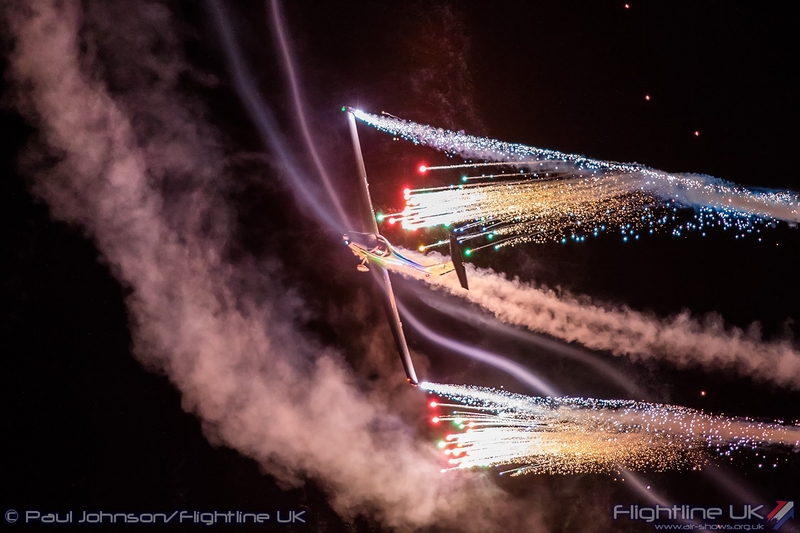 Ian Gallacher flew a spectacular opening to the show with pyrotechnic waterfalls streaming from the wingtips and various different starburst effects. 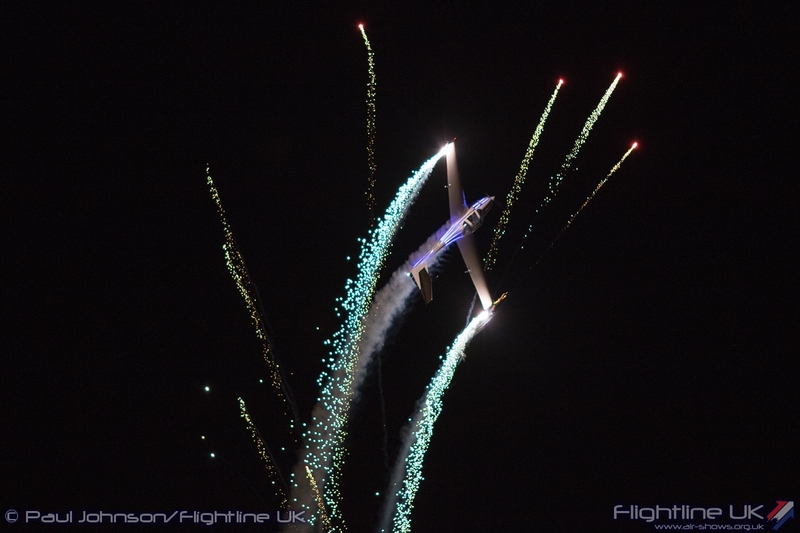 Guy also flies with the new AeroSPARX Team and presented a solo aerobatic routine in a Grob 109b motor-glider. 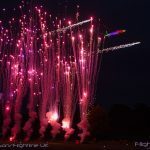 His display marked a new step forward in twilight displays as it was the first CAA approved aerobatic display in the UK to take place at night (which is taken as starting at Sunset + 30 mins) The AeroSPARX Grobs are kitted out in similar fashion to the Fox glider in terms of fireworks and LED lighting effects, but with the added addition of smoke system fitted to the engine. 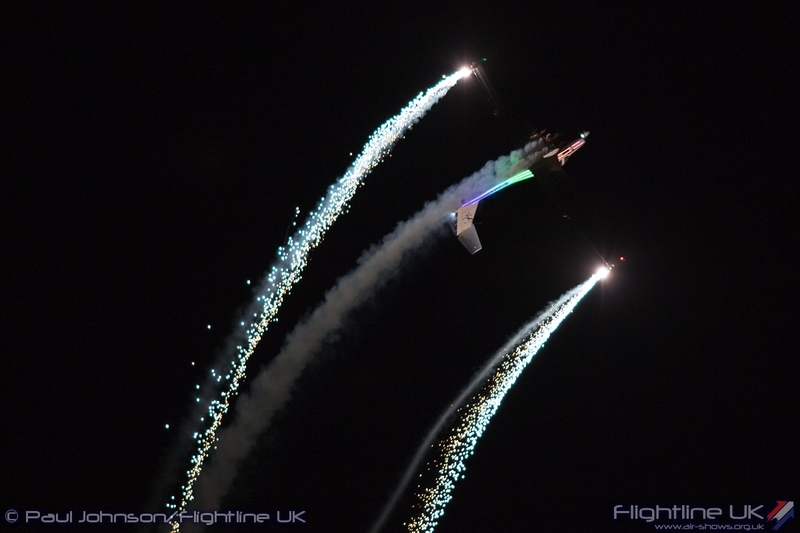 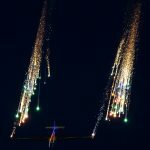 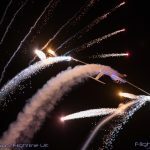 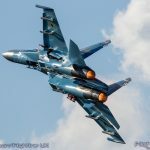 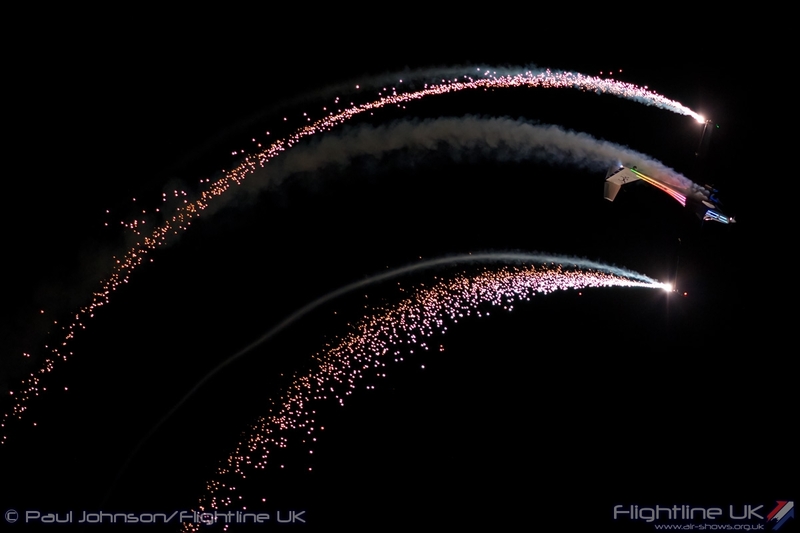 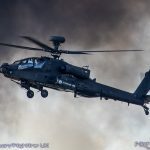 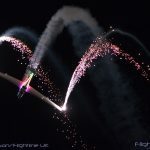 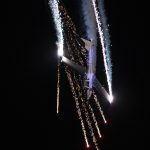 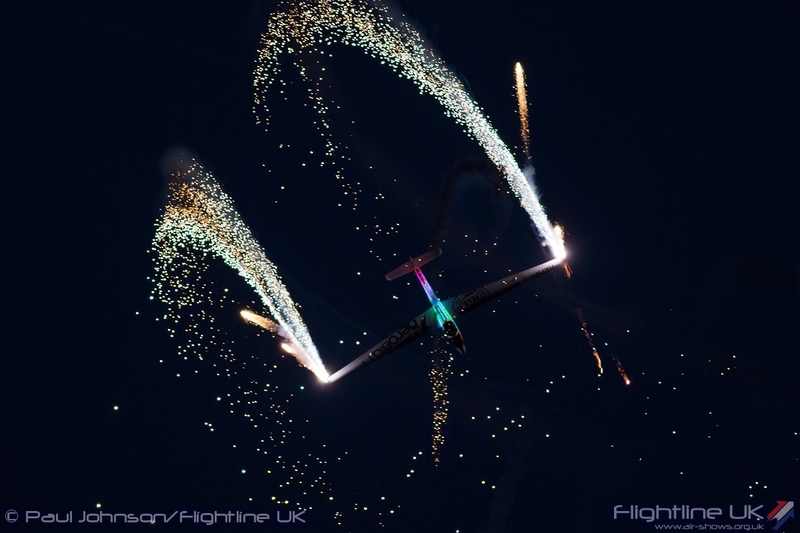 The addition of the smoke can make for some spectacular lighting effects as the aircraft flies through its own trails. 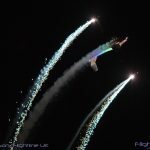 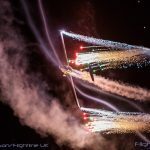 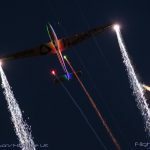 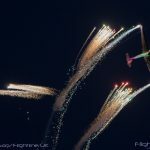 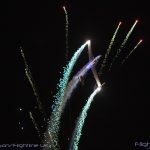 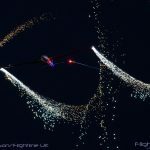 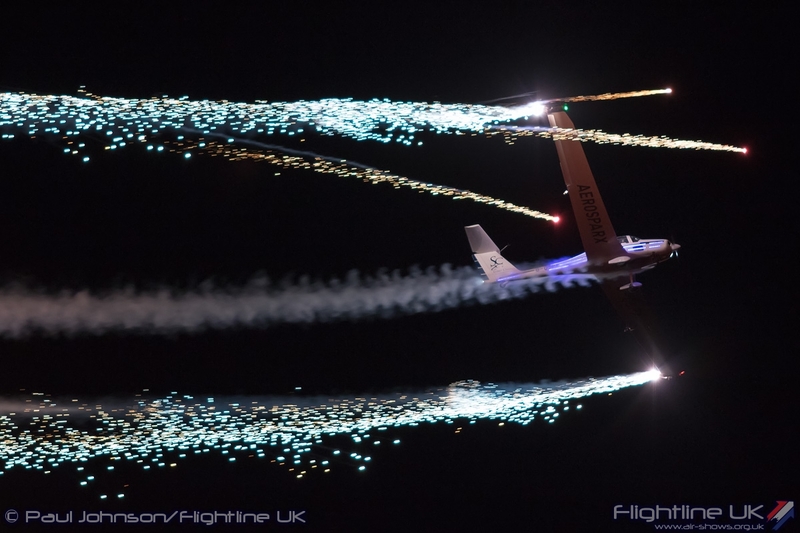 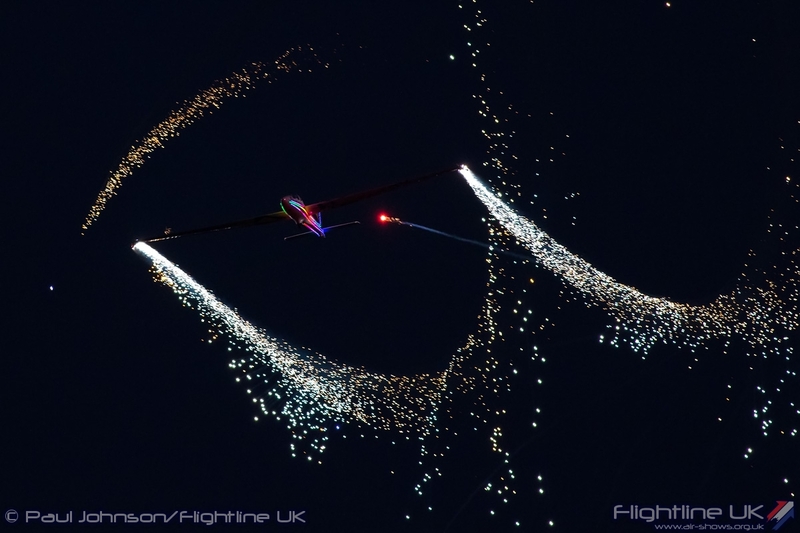 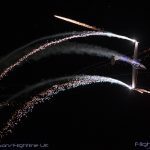 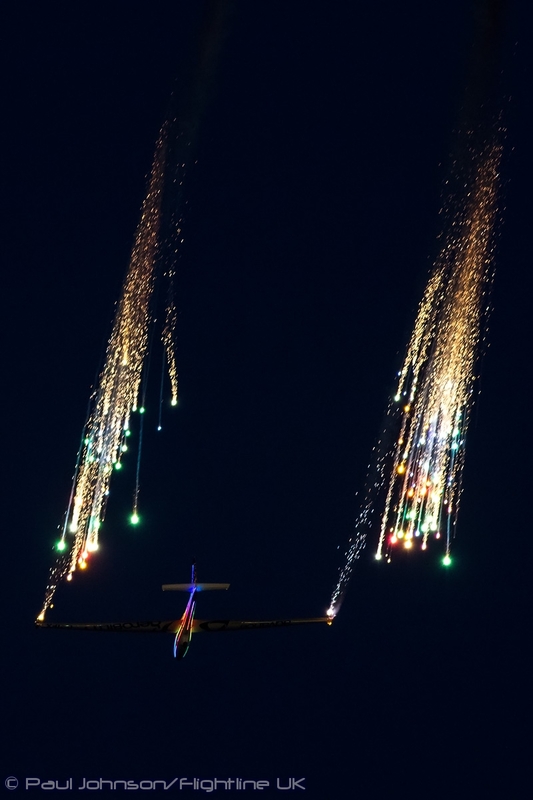 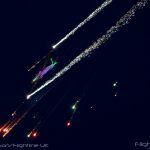 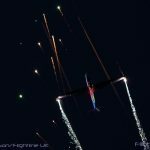 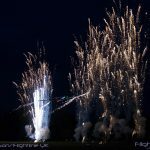 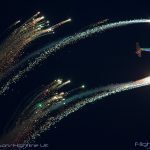 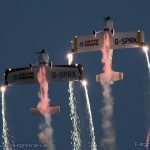 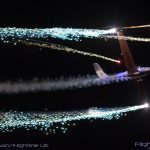 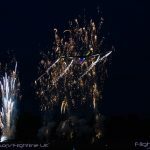 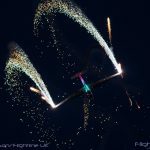 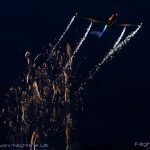 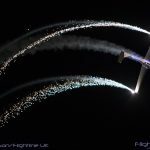 Both the GliderFX and AeroSPARX displays included ground based “Walls of Light” during their displays which were quite simple awesome spectacles that drew gasps and cheers from the crowd. 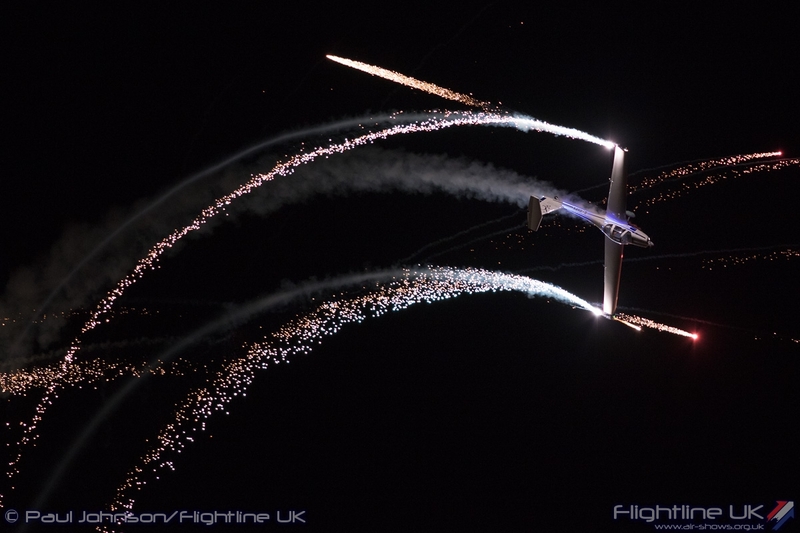 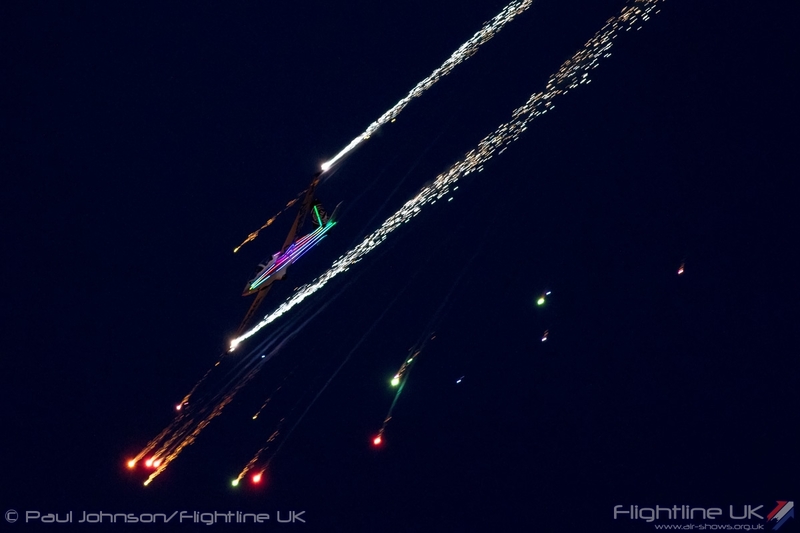 Twilight air displays are always magical and it is great to see them being to grow with more teams taking part. 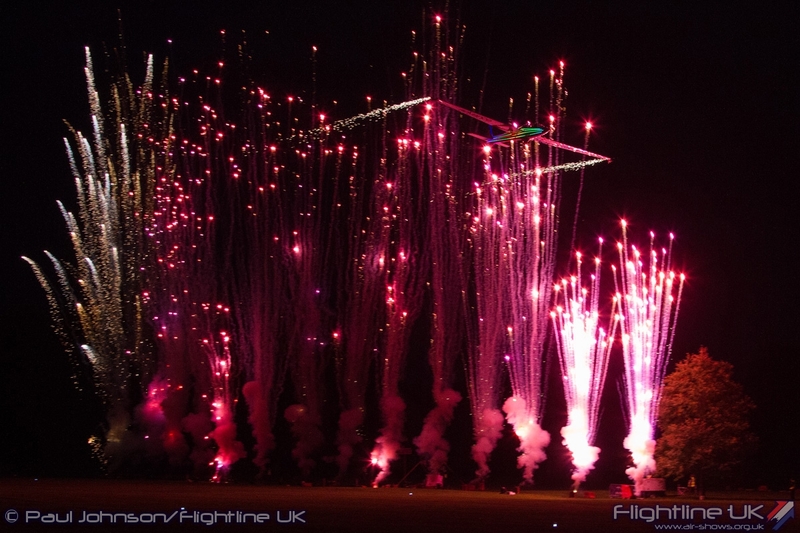 However, the displays at Weston Park were amongst the most spectaclur I’ve seen this year. 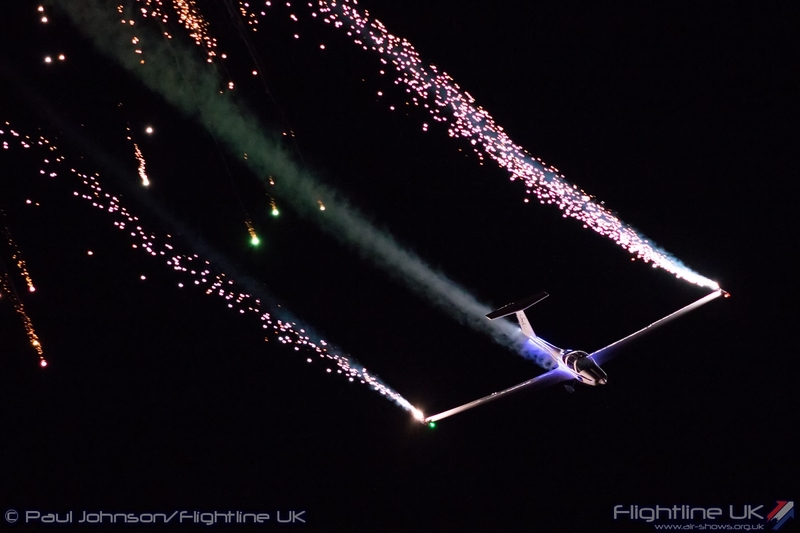 The event too was something very special and very out of the ordinary. 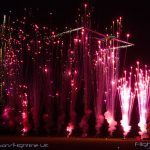 Steve Bishop and his team should be congratulated for bringing a new event together that is so original and entertaining.